A rectangular medal featuring a large full-color emblem. 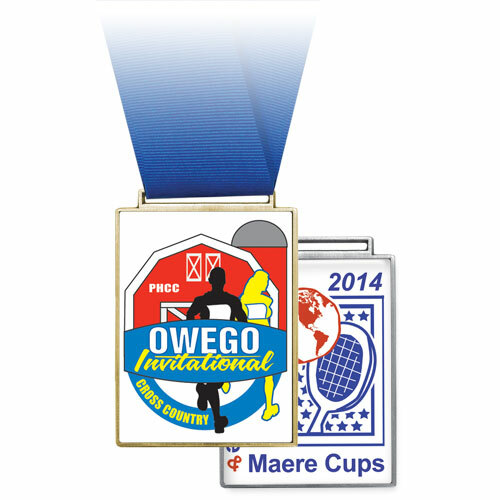 Each medal includes a radiant and smooth epoxy dome. Medal size is 2 1/4" x 3". Our art department is available to help you design your new medals.